A few days ago, I received a custom order request in my Etsy shop for a crochet Pokémon Eevee cup cozy! Eevee sure is a cute little character, so I was very excited to get to work designing this cozy! 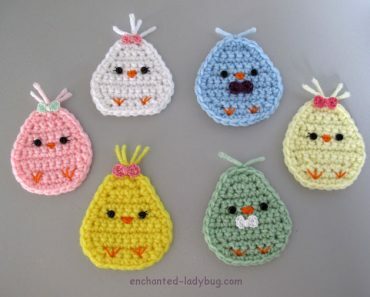 I love receiving custom requests because a lot of my cozies are designs I am not sure I would have ever come up with myself! 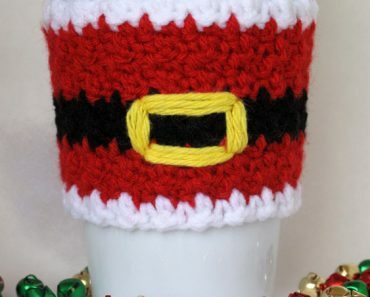 So, if you have a cozy idea you would like to see, please let me know! 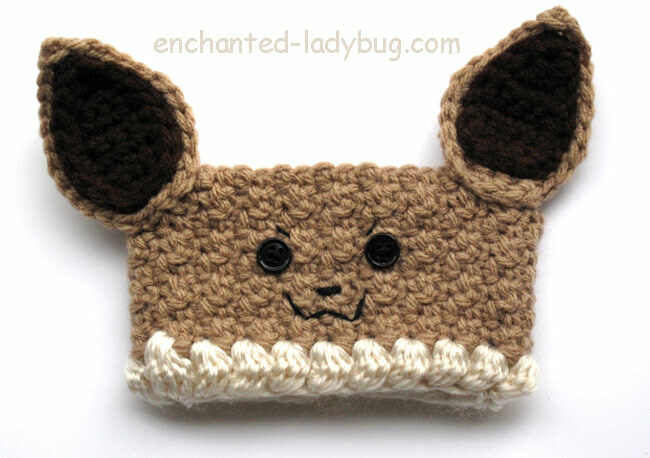 This Eevee Pokémon cozy would be a great companion for my crochet Pikachu cozy or my Pokéball cozy pattern! If you have any Pokémon fans in your life, these cozies would make great gifts! 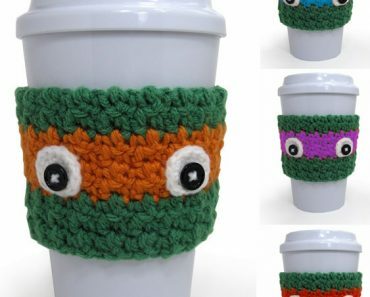 It would be a great way to dress up your coffee cups while you are out hunting for Pokémon! For Eevee’s light brown color, I used Loops and Threads Impeccable yarn in soft taupe. 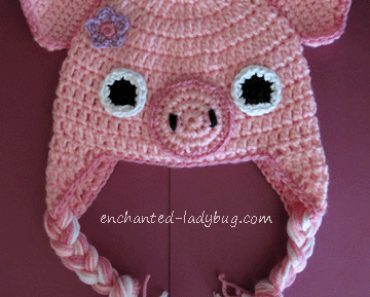 For the inner ear, I used Loops and Threads Impeccable yarn in chocolate. 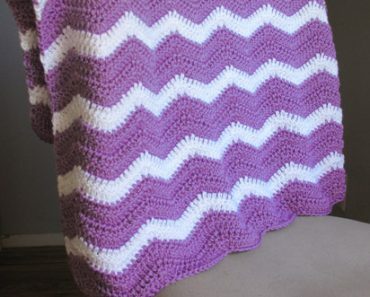 The puff around the bottom of the cozy is crocheted with Caron Simply Soft Light in heavy cream. 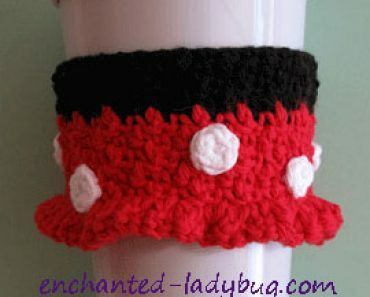 I used a 4.25 mm crochet hook for this cozy. 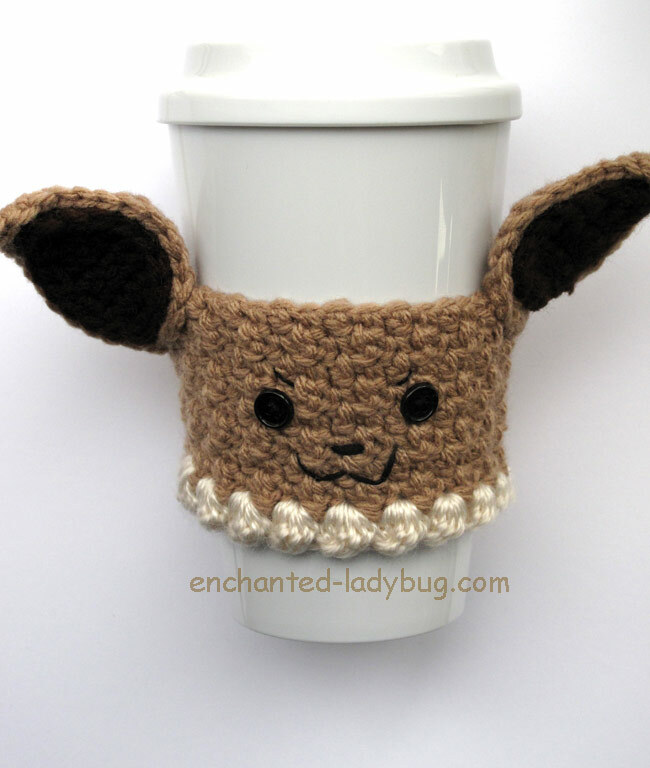 If you would like to make your own crochet Pokémon Eevee coffee cup cozy, you can download my pattern below for free!